Regular septic pumping is essential to ensuring your system serves you and your property efficiently for many years. 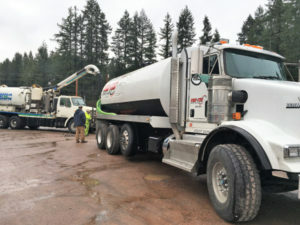 VAC-TEC LLC has years of experience offering septic tank pumping services in the Elbe, WA area. 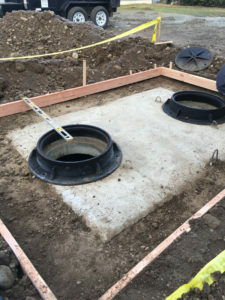 Whether you have a residential or commercial septic system, we are the go-to company for your septic tank pumping needs in Elbe. We utilize the latest equipment and methods to ensure a high quality septic tank pumping job. Our technicians bring fast, friendly and courteous service to all our clients, regardless of the size or complexity of their needs. We also have a 24-hour emergency septic service. We want our customers to know we are a dependable septic tank pumping company. If you need septic tank cleaning in Elbe, our team is fully equipped to offer you the timely, professional help you deserve. We will take care of your septic system needs as quickly as possible, using only the best possible equipment for each septic tank cleaning job. Our cutting-edge equipment helps us take care of any septic tank cleaning needs with the minimal disruption to your daily life. Why Should Elbe Residents Choose Us for Septic Pumping? We understand that it can be quite a hassle to schedule a septic pumping service, especially during an emergency. From our friendly 24/7 team to our skilled technicians, each one of our team members is trained to make your septic pumping fast and hassle-free. We have the experience required to have your septic pumping job done right. We work closely with our customers to provide a clean, efficient and environmentally responsible septic pumping service. Count on us for both residential and commercial septic pumping. For septic tank pumping in Elbe and surrounding areas, VAC-TEC LLC. is the name to remember. For any questions or appointments, call Tacoma – (253) 777-4887 Seattle – (206) 339-0039 Olympia – (360) 338-6686 North Dakota – (701) 566-0045.